I ordered this cosmetics bag from eBeauty.ca Tuesday night around 11pm and I got it today, Friday morning! Very fast shipping by eBeauty.ca, it's seriously impressive! I actually called them on Wednesday morning wanting to add another bag to my order for a friend (and to get free shipping) but it was already too late to add on to my order because it was listed as shipped (this is within 12h of ordering, most of those hours being middle of the night). I did NOT get all the products exactly as advertised on the website (click HERE for link to the bag). One difference is that the Mereadesso lip product was not 1 tinted lip treat but instead the pack of 2 clear lip treats (click HERE to see the two products). I'm not upset. It's the exact same overall value and what I got is "safer" - can't really go wrong with a quality balm/primer I guess! The second difference is not a good or even neutral one. I got the NYX Xtreme lip CREAM and not GLOSS. The product they say they're including is an 11ml lip gloss worth 17.99$ and what I got is a 7ml lip cream worth 6.00$. This is not the same product, nor is it an equivalent product. I love the makeup bag itself with its double zipper and extra pocket inside. Beautiful bright colour too. I will definitely be using this! The Mereadesso lip treats (balm/primer) come in a duo packed in a frosty pouch. The product claims to double the wear of any lipstick or lip gloss which is quite a claim to make! I can't imagine it's that powerful but I tried it this morning and it's nice. I'll make a more objective test of this claim later. The Cargo mascara is what it is. I will try it for sure when I get closer to throwing out what is currently open. The IT Cosmetics bronzer and the Lippy Girl blush. The Lippy Girl blush packaging stood out as weirdly bubbly. The product is so far underneath the roundness of the window. Is it to make it seem like a larger product size? I'd like to say that I cannot complain, but I am going to have to complain about the NYX product. 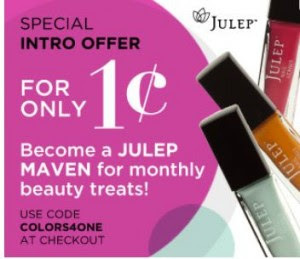 I like the lip cream product and I like the contents of the bag generally and I like the value a lot, but I don't like that they advertised an 11ml 17.99$ product and gave a 7ml 6.00$ product. So overall, I don't regret this buy AT ALL and I would purchase another cosmetics mix bag from eBeauty without hesitation and I'm quite pleased. But I still feel the need to bring up the lip gloss situation to them. Email ebeauty.ca right away about the lipgloss issue- that is FALSE advertising! mine arrived today too but I missed the postman so I will have to wait to pick it up tomorrow or next week.. I emailed them this afternoon and got an auto-reply saying I should expect a personal reply within 24h so we'll see what they have to say. I wrote that I was OK about receiving an equivalent product for the Mereadesso balm but that it was simply not an equivalent product for the NYX gloss. Not in price or quantity of product. i hope it all works out in regards to the NYX lip cream. ive seen them sold at London Drugs for like $8.99 (or 9.99) so it is a big difference in value. is that the same color that Steph (Canadian Beauty) got? like you said, the bag is very cute and the shipping is soooo fast! It seems to be the same shade but I'm not sure what it's called. I'm not unhappy about this product, it seems to be pretty nice. It was only the value. How ridiculous that they are 6$ on the website and 9-10$ in Canada! I hate how we get ripped off on so many things. I got my ebeauty as well with the same products as above. I personally like nyx lip cream better than the gloss. Also the pewny perfume sample was really nice, but very expensive at their site, otherwise I would've gotten it in no time. I'm glad the NYX lip cream is a good one. I have yet to try it but I liked the idea of it and the swatch on my hand :) Thanks for visiting my blog! !